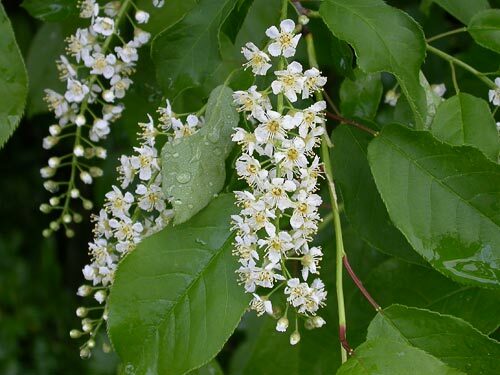 15' The Bird Cherry, a well known wild tree of hedgerows etc but quite beautiful enough to be included as part of any planting programme. Long panicles of scented creamy white flowers produced with great freedom during April. Easily pleased and hardy.